Comprehensive mould remediation solutions from Zero Defects will make your building safe to live and work in again. We employ the latest technology to detect mould locations, identify the type and determine the best remedial measures. We have helped several residential and commercial property owners protect their building structure from being damaged by this toxic substance. 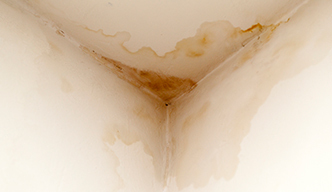 Damp and wet conditions promote mould growth. This could occur both in old and new structures as moisture is present everywhere. Neglect encourages mould to spread and it can quickly take over your entire premises and create health risk. This creates unhygienic conditions and causes many health problems including eye irritation, and skin irritation, allergies, allergic reactions, wheezing, asthma and other respiratory illnesses. In order for your building to be completely free of toxic mould, you must know the exact type; each strain and variety has to be dealt with differently. 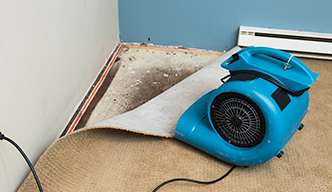 Our mould remediation experts have extensive experience dealing with mould and can quickly determine what steps to take. We can prevent the situation from worsening and causing serious exterior and interior damage. Mould manifests itself in many ways. 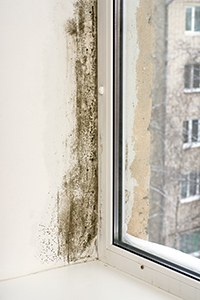 If your building has a musty odour, black, brown or green spots, has a leak or wet spots, you could be in need of mould remediation. Ask for a mould test and inspection right away. It’s the only way to determine whether you have a problem and how extensive it is. Mould removal is both complicated and dangerous; special equipment is required and stringent safety procedures must be followed. The mould remediation technicians at Zero Defects are trained, experienced and qualified. We would never risk your safety or that of our staff by sending untrained personnel to do the mould cleanup. You can count on us to protect your property and its occupants from further harm. Our mould remediation services begin with a thorough inspection and testing, the results of which are verified in a laboratory. We will share the reports with you and draw up a customized removal plan that will permanently deal with the problem. 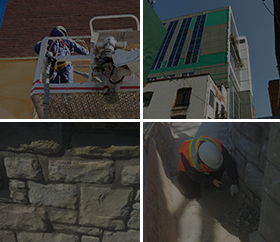 As a leading building restoration company, we have the unique capabilities to resolve the issues which could occur from envelope problems. Call Zero Defects at 416-398-9376 for a meeting to discuss your mould remediation plan.